Dreams do come true! Let’s welcome the spring with a relaxing yoga class to the beautiful sounds of the HARP! Afterwards enjoy some tea (or BYOB) and meet Sabrina the hearse that the Harp travels in. No yoga experience necessary. Yoga Nidra is a meditation focused yoga class designed to help you reach a state of deep relaxation. Experiences vary, but many have reported that yoga nidra can bring about great sleep, a deeper connection to self, awareness to the body, and healing from past experiences. 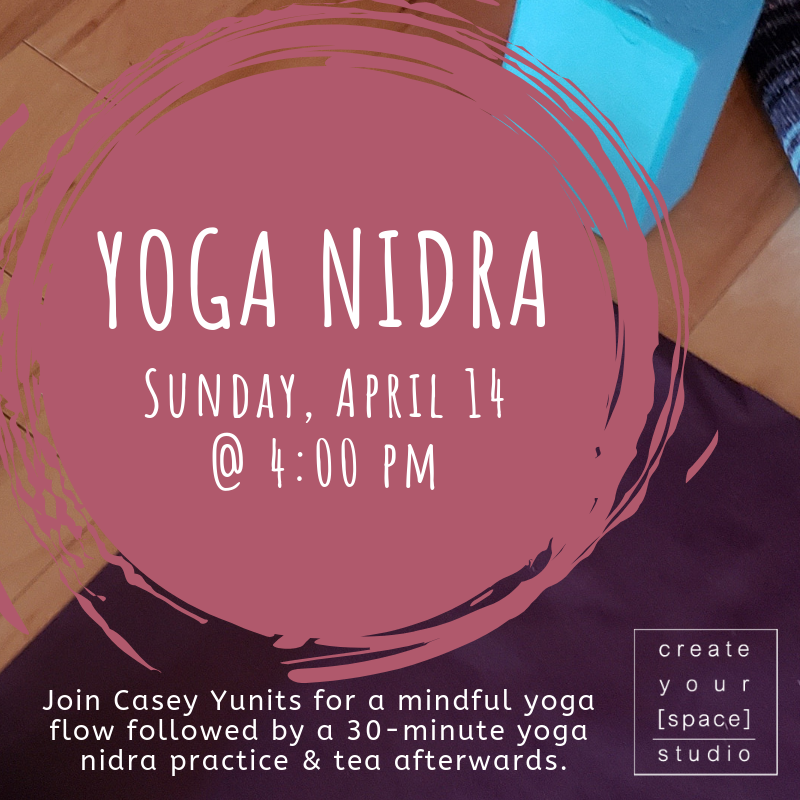 Join Casey for a 45 minute yoga nidra practice and tea afterwards. Ok Mom’s! Get ready to be pampered and showered with love by spending some quality time with your child. Not only is this a great start to introducing your children to yoga – they will love sharing this time with you. Mom’s will get a special floral bouquet at the end. Is your job or life stressful? If so, come experience a Yin Yoga class before work on Monday. Yin yoga is the perfect complement to an active, athletic practice. Yin Yoga keeps the muscles relaxed while stretching the connective tissues of the body–fascia and ligaments–giving some much needed love to our joints! To keep muscles relaxed, poses will be performed slowly and softly, for a longer duration. 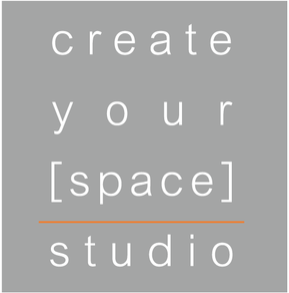 Listen to the classical and ambient sounds of Hanna Brock throughout the practice for a deeper experience. 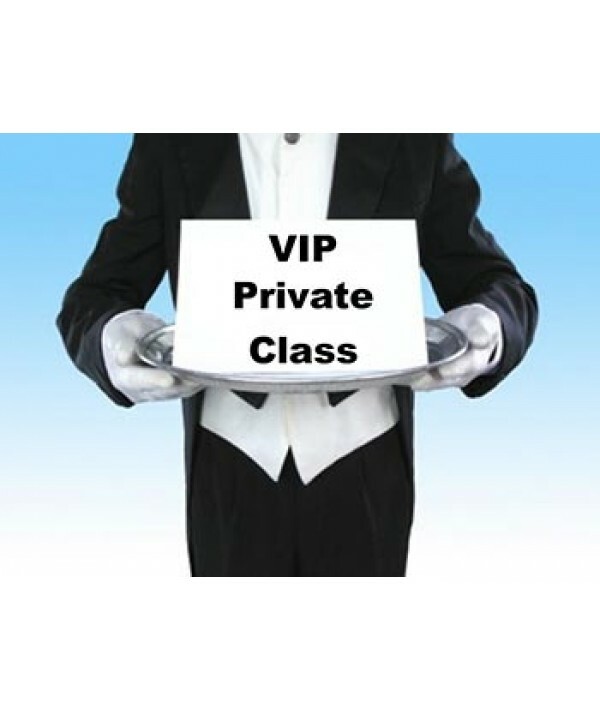 All poses will be practiced while seated or lying down. This is for all levels, 70 minute practice followed by community tea. Description: If you live in Chicago, you really never know whether it will be Spring or Summer at this time. 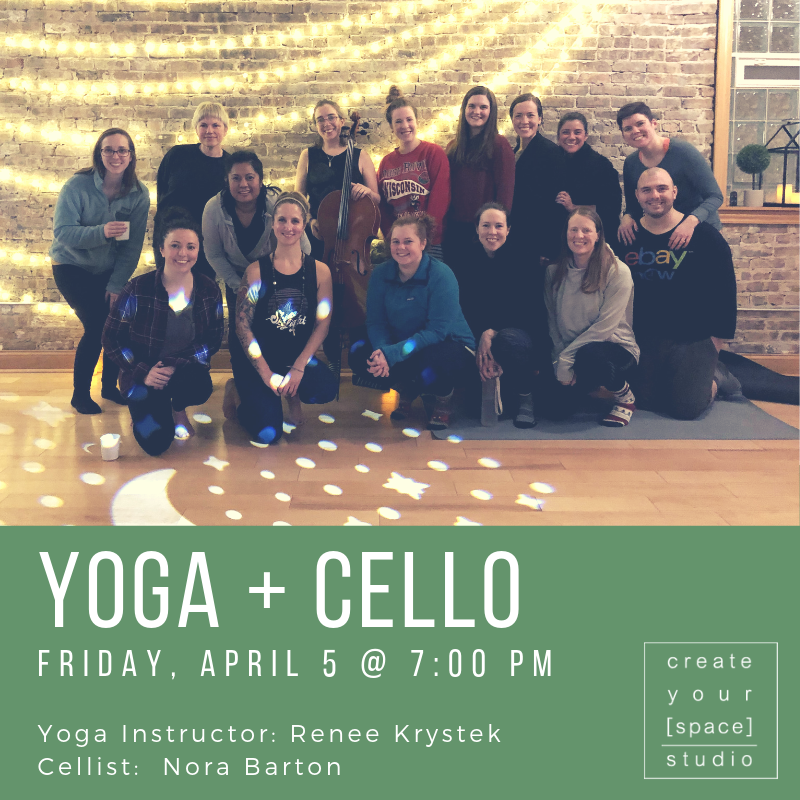 Either way, come join us (on the patio, weather permitting) and enjoy this special Yoga + Cello event. 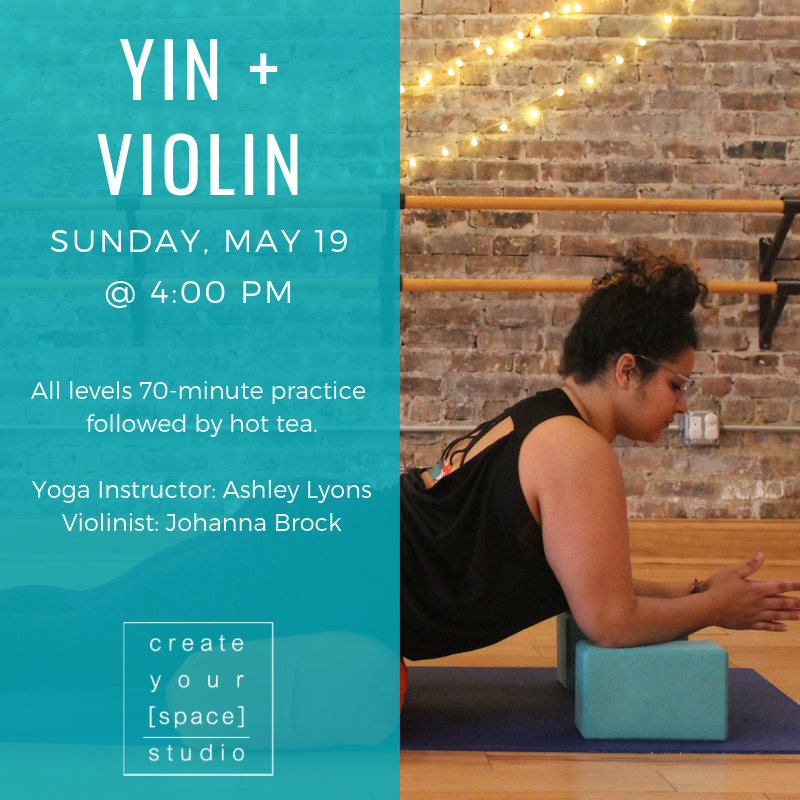 A special Vinyasa Yoga sequence designed with a few flowers in mind, participants will listen to some classical pieces, flow with the flowers and relax. BYOB on the patio after class. Adding an additional healing modality onto another can increase the effects and may provide the tipping point you need for deeper relaxation. 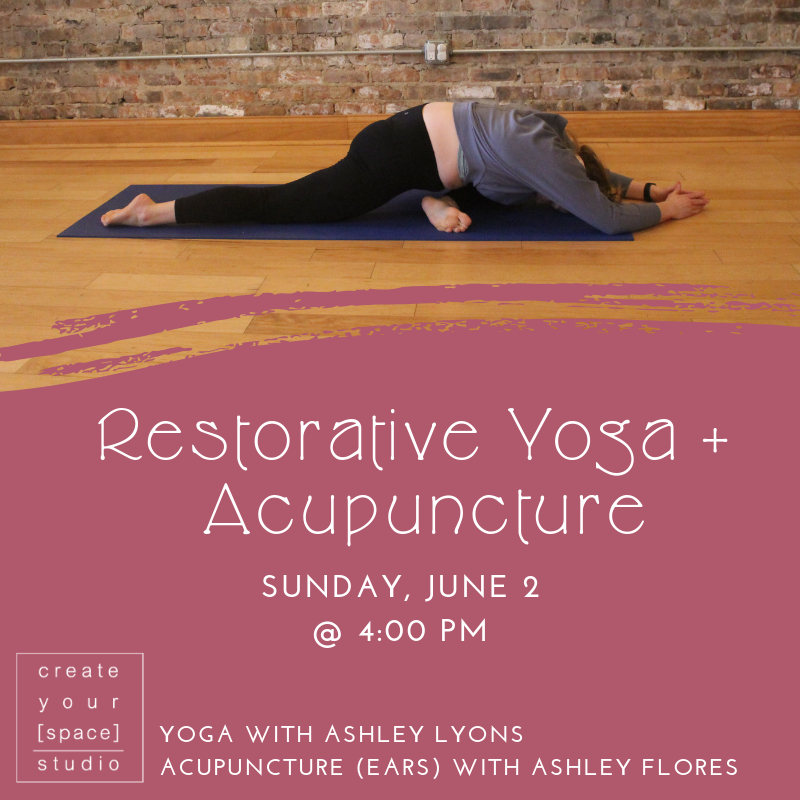 This pairing will involve a calming, restorative yoga practice followed by acupuncture of the ears during shavasana. Acupuncture is a healing modality based on the Chinese philosophy of opening up energy flow that may be blocked by pacing small needles to certain sources in our body. Ashley Flores has been performing acupuncture for 8 years. Whether you are new to acupuncture or a regular seeker, experience the combination practice and see how the pairing works for you.